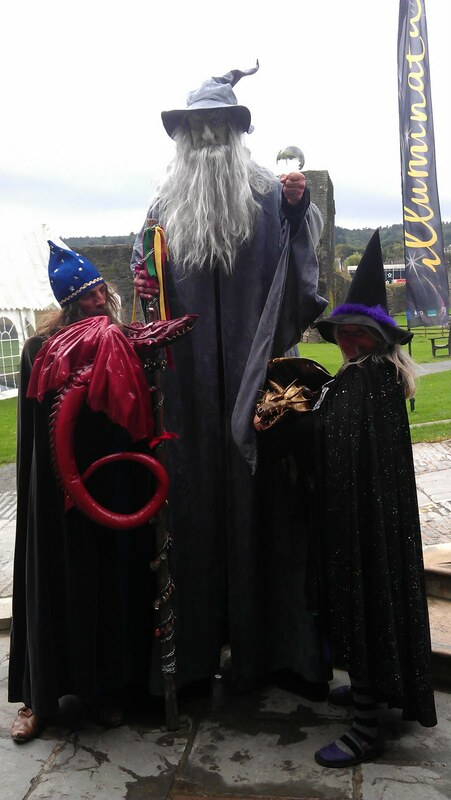 Twerlin the Wizard and Alchemy with their Dragons at the Castle on 10th September. Free admission to the Castle as part of the Civic trust of Wales open doors event. Come along and see Fiery Jack, Alchemy with their Dragons, the Monmouthshire Ministrels will be performing in the Greathall and see highlights of Illuminata 2010. Lots of fun in town and in the evening the BBC Proms comes to town, and tickets are still available on 02920 880011 or on the night. The Tardis has landed at the Castle, and will be here until 12th September , come and get up close , dont forget your camera! This weekend is the Big Cheese here is a run down of whats happening with the Cultural Olymnpiad and AWEN project here in the Castle. fun and informal poetry workshop to explore their creative side. Feeling down and need to chirrup? Come join textile artist Becky Adams and make your very own feathered friend! Make your own beautiful decorative birdy inspired by the many birds that hop about the castle. Lots of fun and all materials provided - scraps of fabric, found ephemera, stitch, buttons and glue! All ages and abilities most welcome – fold an origami bird or sew a fancy fabric one! A demonstration of Samba by the Caerphilly Samba Band, followed by a chance to get involved. The community Choir will be singing their especially written composition 'The Green Lady' amongst others. With the countdown to the London 2012 Olympic and Paralympic Games underway, the heart of the castle will present two days of arts activities and performances as part of the Cauldrons and Furnaces project for the Cultural Olympiad in Wales. This year’s Big Cheese will also see a celebration of poetry and sculpture, film, dance, music, drama, and more- created by the people of Caerphilly County Borough in a festival of the wealth of vibrancy and culture of this region of South East Wales. Organised through Caerphilly Arts Development and incorporating work from schools, colleges and community groups, this event is just one of many events organized to celebrate Caerphilly’s cultural life. There will be performances from the prestigious Caerphilly Youth Theatre, the illustrious Community Chorus, local dance troupes and samba bands as well as the premiere of our Castle inspired film project amongst others. 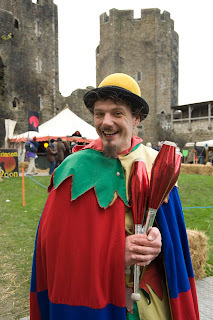 You can also get involved in textile arts and ceramics workshops as well as carnival workshops where you can make flags, banners and masks for the carnival procession, all inspired by the incredible monument that is Caerphilly Castle. The Big Cheese takes place from 29th to 31st July, Cauldrons and Furances will be there with lots of activities taking places.....I`ll post more info asap.